Google's just done something interesting with its cloud by adding a configurator that lets you roll your own servers. The Alphabet subsidiary reckons that other clouds repeat some of IT's past sins by making you buy more server than you need. 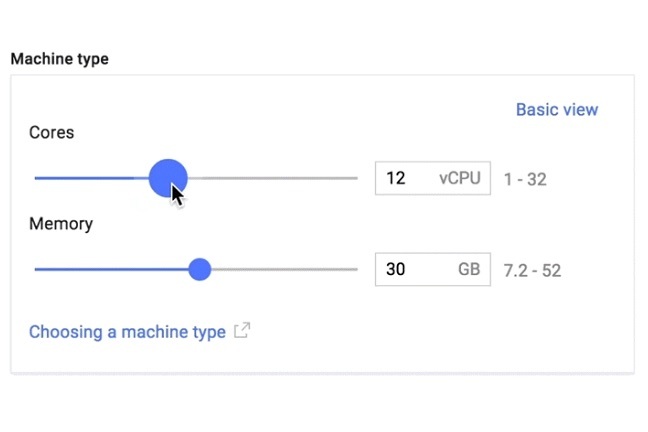 By offering an online configurator that lets you determine a server's core count and memory, Google thinks you can match your workload to a server and come out ahead on cost and on fit-for-purpose. The image at the top of the story (here for readers on mobile devices) or this GIF* offers a look at the tool's options. The configurator also spits out pricing as you fiddle with it so you can understand the impact of your choices. Analyst outfit Wikibon rates Google a distant fourth in the infrastructure-as-a-service market, with its 3.6 per cent market share well behind AWS, Microsoft and IBM (see PDF page 8). The ad giant's poor performance is often attributed to a relatively meagre feature list compared to its rivals. If nothing else, this sliding scale for servers shows that Google's willing to erode the cloudy logic that a defined set of offerings make it easier for a cloud operator to deliver a consistent, low-cost service. *Yes, we could have popped the GIF into the page, but at 500kb it would have slowed down page load times and made many of you a bit grumpy with us. Which we don't want.